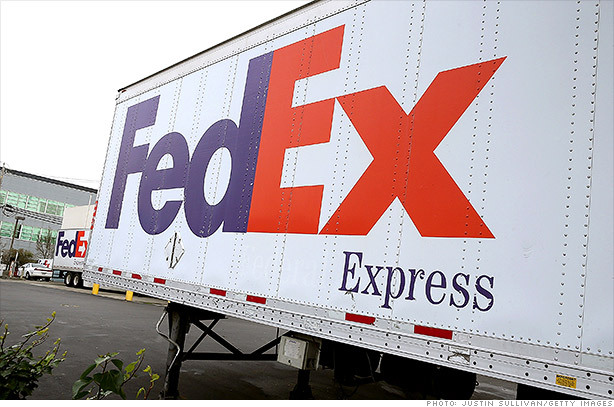 FedEx's stock soared even after the carrier offered a tepid outlook for 2014. So how did the market respond? FedEx's (FDX) stock jumped more than 3%. The market takes bad news as good news this week. $FDX lowers guidance, up. $HRL misses, barely moves. $TEX misses, down a little. This week? More like this year! All three major stock indexes are up between 15% and 17% in 2013 even though few economists are predicting robust earnings growth. To be fair, FedEx did beat analysts' expectations. But with its stock up more than 12% this year, the jubilant response from investors to a decidedly blah outlook shows that investors may be more interested in what the overall market is doing as opposed to specific company fundamentals. Investor sentiment about FedEx didn't spill over to its top rival though. Shares of UPS (UPS) were down slightly. FedEx has been "realigning" its business for some time, and that does seem to be helping earnings. The company has been cutting staff through what it euphemistically called a "voluntary employee separation program." Investors don't seem to think it's dead anymore.